PJ Coyle is a DJ, producer and drummer from Ayr, Scotland, an artist who doesn’t feel the constraints of any specific genre, someone who’s widely known for his experimentation with funk, jazz, hip-hop, breaks, ragtime, swing, electro, techno, house, jungle, d&b, 4×4 bassline, garage, dub, reggae and everything in between! His musical journey began when he started playing the drums from a young age after becoming enthralled by incredibly talented drummers like Buddy Rich, Mike Portnoy, Tony Royster Jr. and Thomas Pridgen. He soon developed his own very unique style after taking on board these influences and immersed himself in a wide range of musical styles including jazz, ska punk, experimental, progressive rock and heavy / math / technical death metal. After years of recording and gigging with various bands, including indie rock group Kinkystone and progressive rock group Preacher, and playing in such hallowed places as King Tuts, The Barrowlands and The Cathouse, PJ was introduced to the myriad of underground electronic music styles and he soon became greatly inspired by the potentiality of fusing genres and mixing beats. Although playing in bands up until 2011, his first gig as a DJ was three years earlier. Since then he’s been making a name for himself in the Scottish dance music scene, frequenting clubs and boutique festivals across the land. 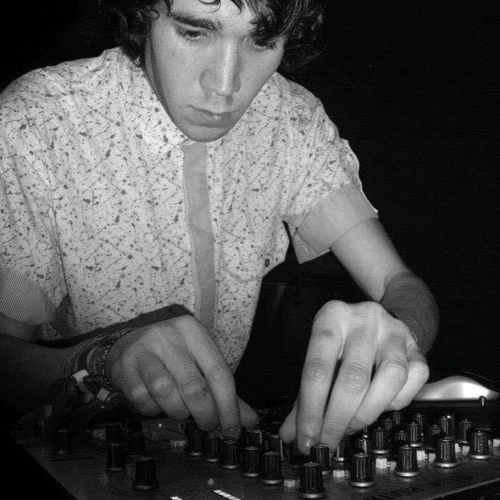 In 2013 he founded monthly Glasgow d&b club night Drum Machine, which at the moment is operating in hiatus mode. Currently he’s co-resident at Edinburgh’s popular techno and house night Asylum. His diverse and eclectic style has also bestowed upon him plentiful festival bookings at Boomtown Fair, Kelburn Garden Party, Knockengorroch and Audio Soup. Along with continuing his residency at Asylum, PJ plans to awaken Drum Machine from its slumber, the event horizon of 2017 looming ever closer for that. He’s also started hitting the studio to produce his own multi genre wizardry to bewitch listeners ……………… as well as collaborating with other producers as a session drummer. “NEVER in a million years” will you stop this crazy banger of cymbals and skins ……………… banging on his skins and cymbals.